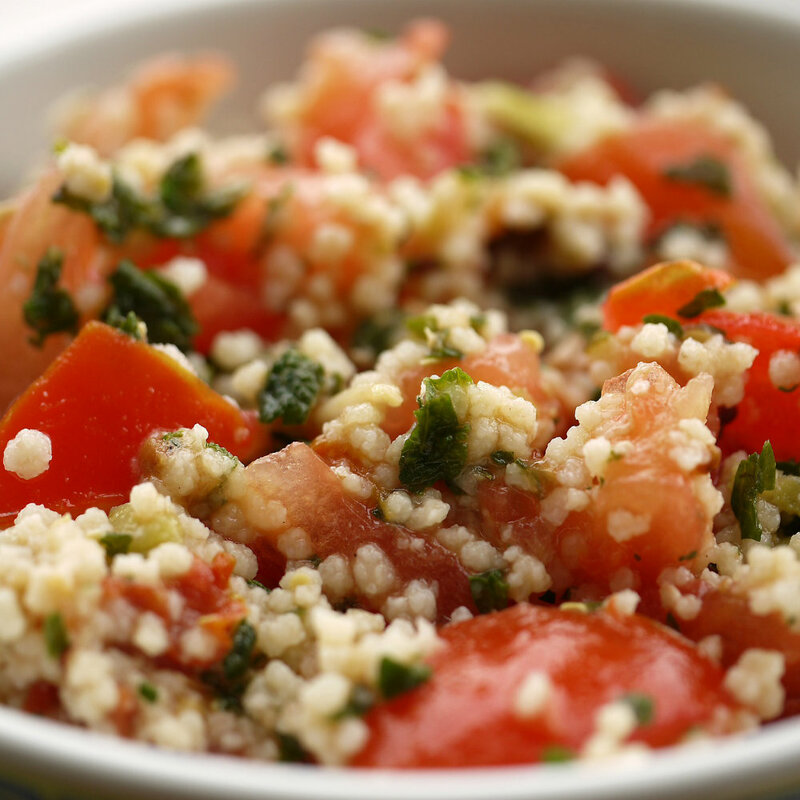 If the typical couscous comes to mind when you think of Tunisia and the local cuisine, you’re not wrong. 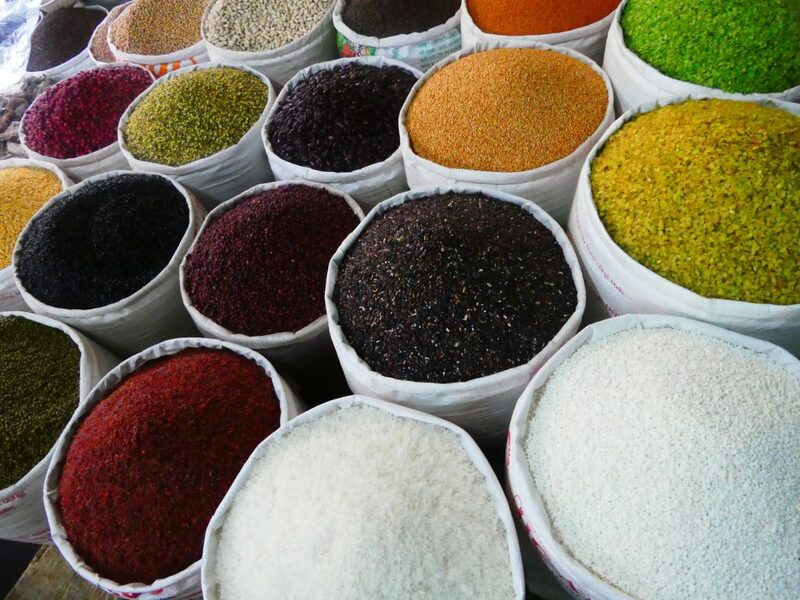 Nevertheless, Tunisian cuisine has so much more to offer than durum wheat semolina and, above all, the spices make the food a real experience. At the thought of turmeric, pepper, chilli, and mint, my mouth is watering. I have wanderlust again! During my last visit to the TUI BLUE Palm Beach Palace in Tunisia, I collected so many culinary impressions that I wouldn’t want to keep from you. 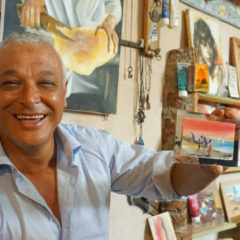 In Tunisian cuisine, the influences of neighbouring cultures are noticeable. I often hear comparisons with Turkey and Arabia, but Italy and France have also made it onto part of Tunisia’s menu. This fact has its roots in the years of the French colonial era. 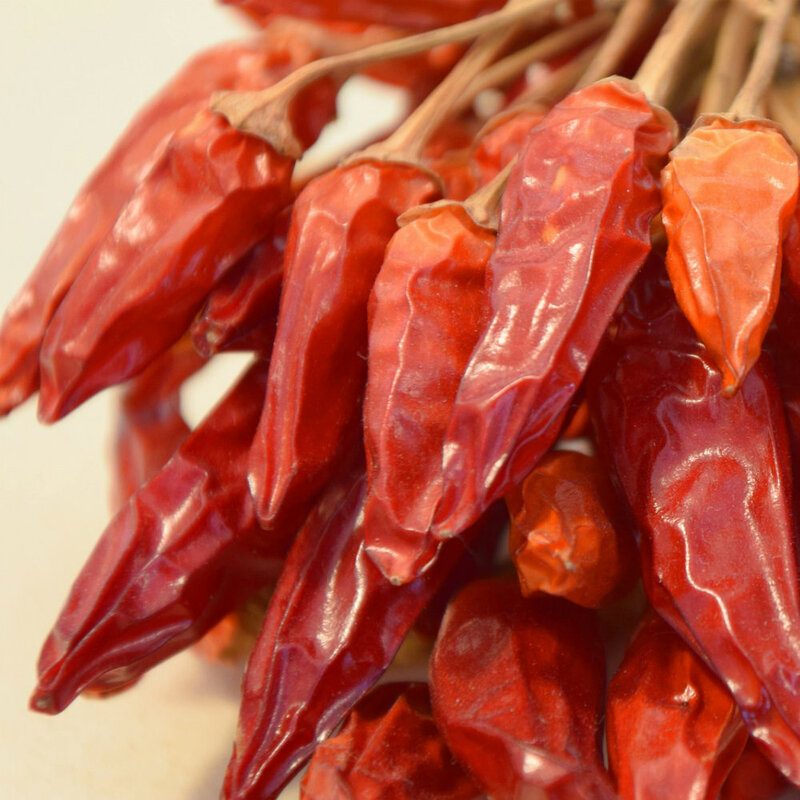 An important part of Tunisian cuisine is harissa, the popular, hot spice-paste made from fresh red pepper, chilli, and olive oil. Warning: very hot! Just the thought of it almost brings tears to my eyes, but it really makes me want the characteristic taste of the paste! If you like soup, you will love this aromatic appetiser! The ingredients of chorba include tomatoes, onions, chickpeas, coriander, and frik (wheat meal). What else is missing? Harissa, of course! Chorba is served either vegetarian or with lamb or beef. The soup is boiled until the wheat grain and meat are nice and soft. In the end, the chorba should have a creamy consistency. I especially like fresh flatbread with it. Delicious couscous, fiery vegetables, and freshly baked flatbread dipped in olive oil are still at the top of my favourite foods list, evoking wistful memories of the warmth and scent of the country. The traditional durum wheat semolina, of course, props up many Tunisian dishes. It is usually served as a side-of-the-side dish and served in a large bowl so all diners can enjoy it to their heart’s content. Couscous is offered in all kinds of combinations: with vegetables, with elaborate meat or fish sauces, or as a fresh salad with mint. 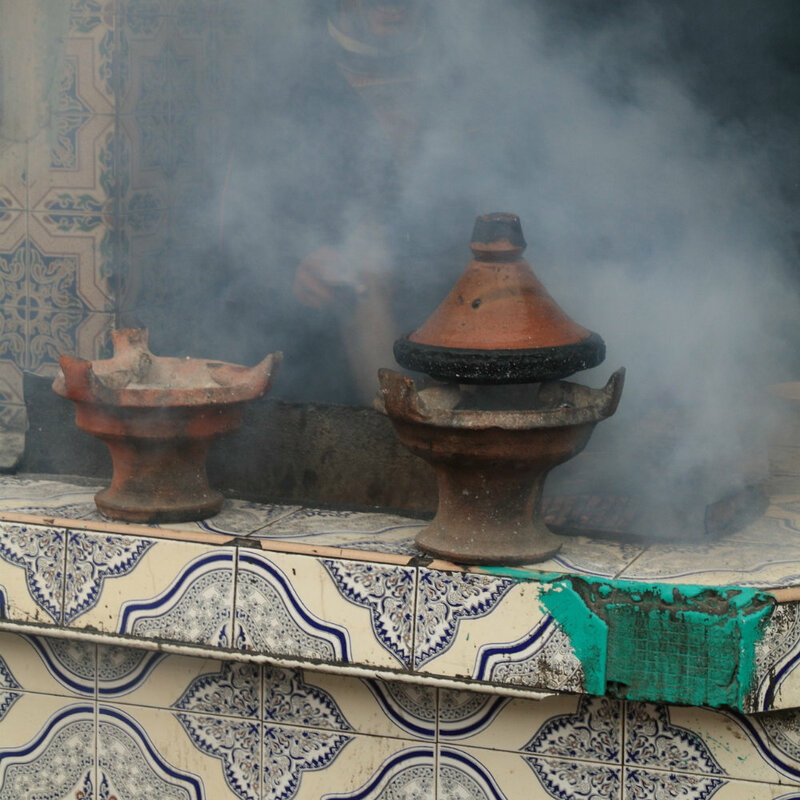 An important utensil in the Tunisian kitchen is the tajine, a round vessel with a lid for stewing food. The term includes both the vessel and the food that is prepared in it, such as casseroles and cakes. In the tajine, the ingredients are cooked with a little water and some spices together over an open fire, which intensifies the flavour of each ingredient. After a cooking time of several hours, the tajine is then set on the table for serving. 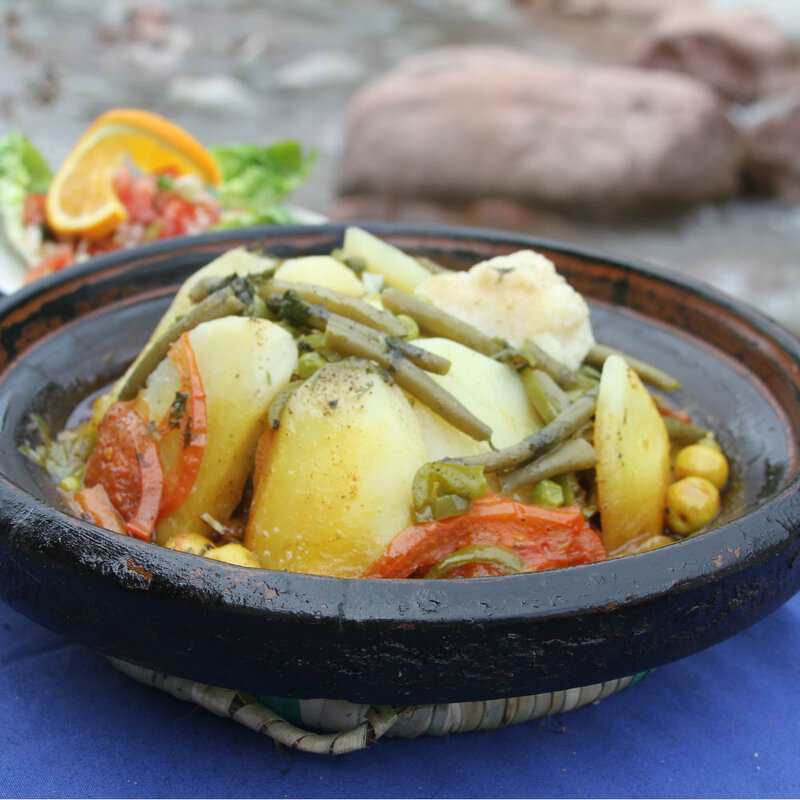 I find the preparation in a tajine as simple as it is ingenious! During my last holiday in Tunisia, I took a ceramic tajine back with me and I like to use it at home. In my own kitchen, a simple stove must serve instead of an open fire, but that doesn’t spoil the taste. A dish I can recommend to any holidaymaker in Tunisia is chakchouka! The first time I had chakchouka on the plate, it reminded me of Turkish menemen. The list of ingredients is definitely similar: chakchouka uses a tomato-paprika sauce spiced with harissa, which is covered, simmered, and later beaten. 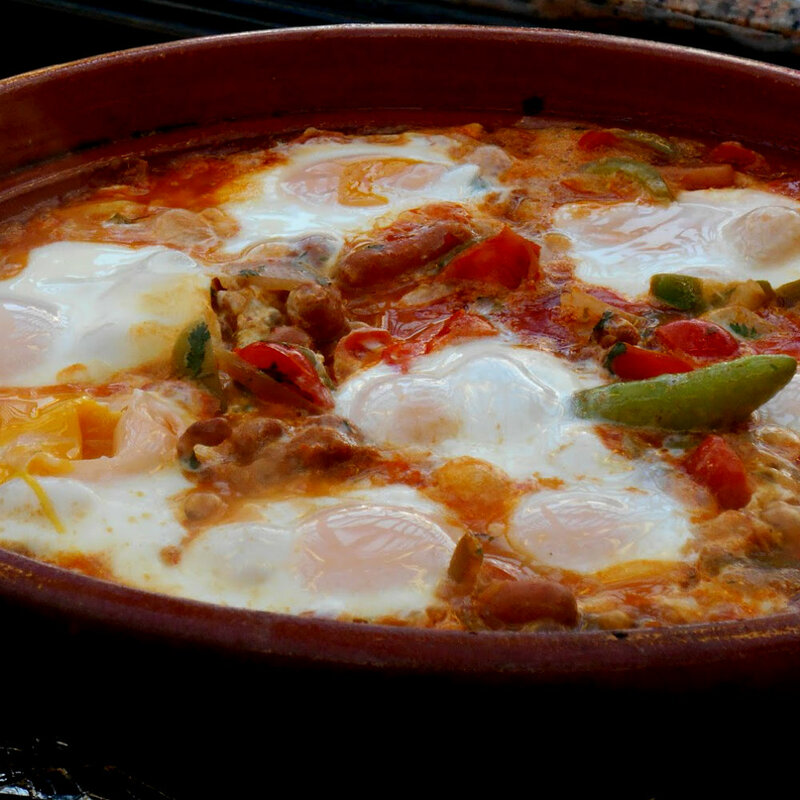 Once the eggs have the desired consistency, the chakchouka can be served with bread. Mmm – tasty! Brik is the classic snack for in-between meals. 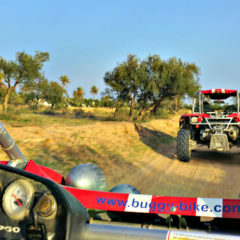 Definitely a specialty that you shouldn’t miss in Tunisia! 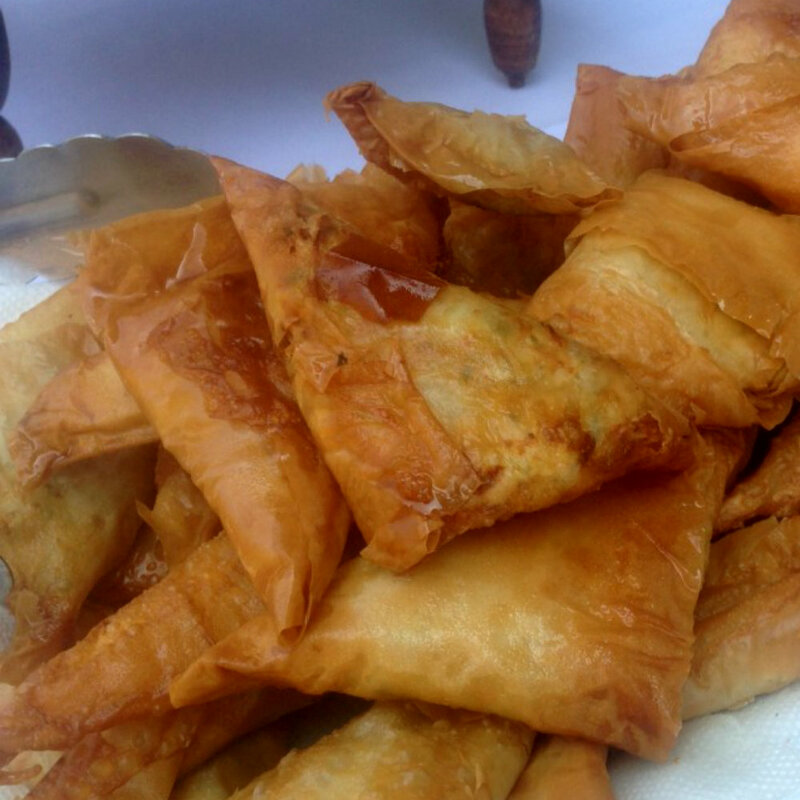 The brik is a usually triangular, deep-fried pocket of fine-puff pastry, which is often filled with tuna or minced meat and offered at street stalls. So ideal for satisfying a little appetite after a purchase in the market. As someone with a sweet tooth, anything dripping with sugar is all right by me. 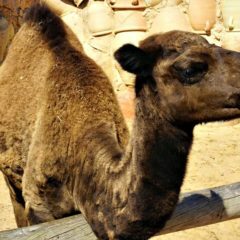 Tunisia is the right place for me. Here, for example, there are delicious makroud, small semolina biscuits with a date paste, soaked in honey. I really can’t resist that! Incidentally, the word makroud is close to the the French macarons, even if the two sweets have nothing in common, visually speaking. 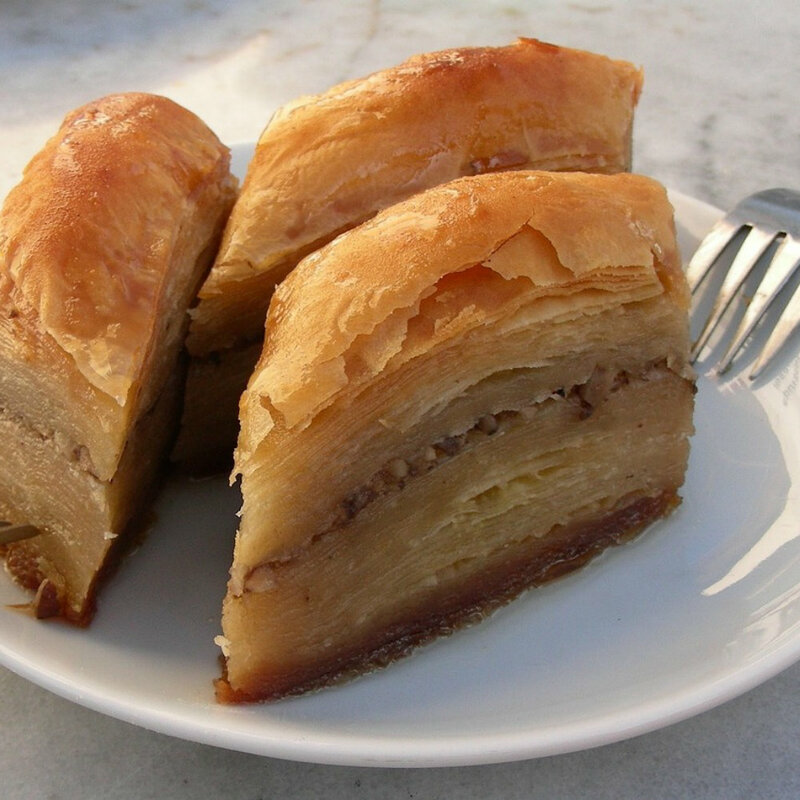 Almost everyone knows Baklava, which you can get here in Germany in every Turkish supermarket. These treats of several layers of puff pastry are filled either with date or pistachio paste and refined with honey. Delicious! Although I’m not necessarily a fan of fried dough, biting into a bambalouni convinced me otherwise! 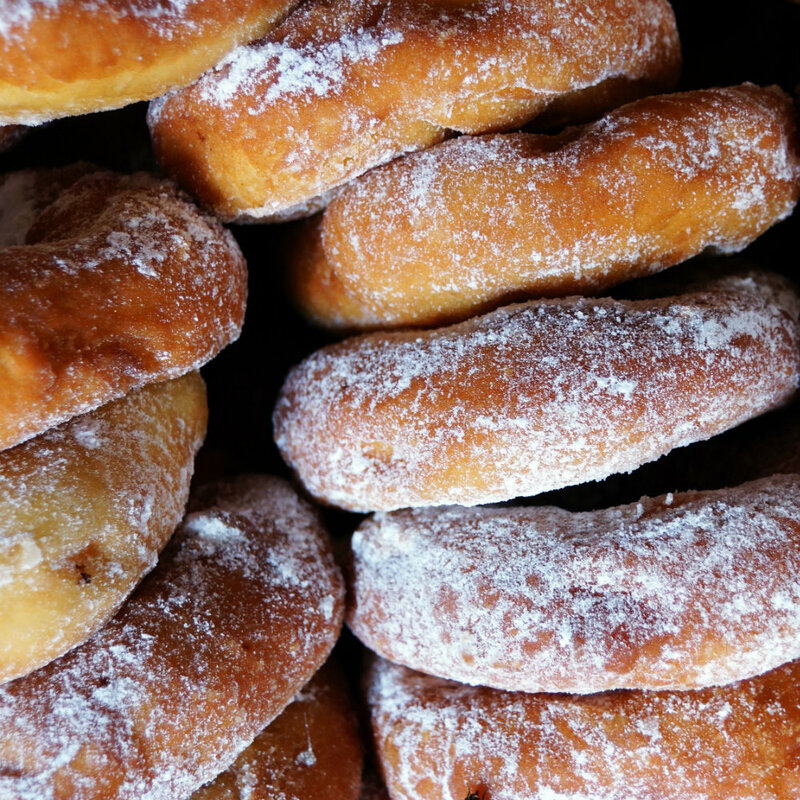 The loose yeast dough is fried in hot oil in large rings and then tossed in sugar or honey. This is reminiscent of donuts, but much better. I wonder what the secret ingredient might be. In any case, you should eat the delicious pastry warm – it’s best that way. Tunisian cuisine, with its various influences and explosive flavours, offers something for every palate. I love to take a break from the market hustle and bustle at a local restaurant or grab a little snack at a street stand. I hope I could whet your appetite for Tunisian cuisine. Do you fancy a Tunisian cooking class? 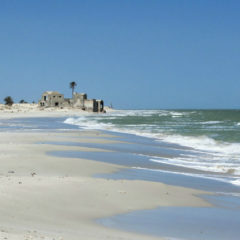 On Djerba you can even cook Tunisian specialities with the hotel director in the hotel TUI BLUE Palm Beach Palace.